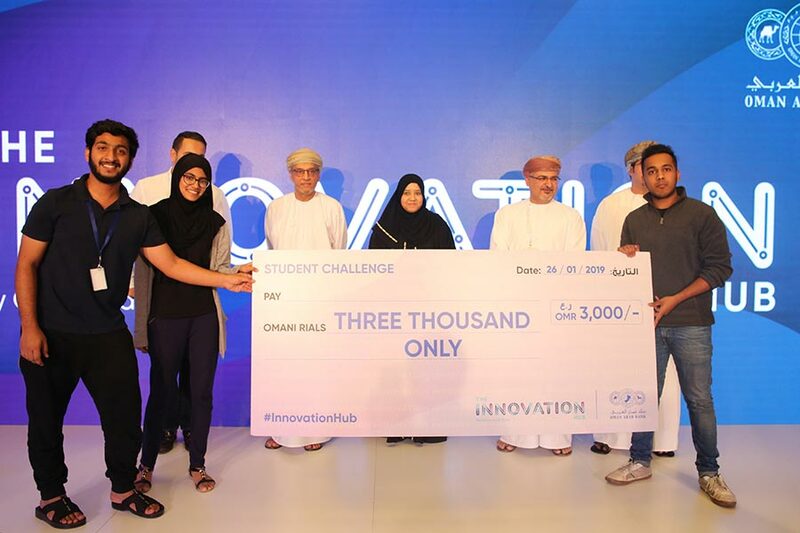 Two students teams from National University Of Science and Technology (NUST) College of Engineering bagged the first and second positions in the prestigious Oman Arab Bank Innovation Hub 2019 which took place in Oman Arab Bank head office in Ghubrah from the 25th of January - 26th January 2019. There were three categories: Students, Professionals and Employees. Each category had to pitch their idea in order to qualify for the top 5. Three teams from National University of Science and Technology were qualified for top 5. Over 75 teams participated in the competition from across Oman. One winner is selected from each category. Student category winning team named as 'One Last Time' received a cash prize of OMR 3000/-. The runner up award in student category was also bagged by National University Science and Technology students by the team named as 'Technovators '.